A lunch cooler is a type of lunchbox or lunch box. While a lunch box, lunch pail, or lunch kit is something used to store food to be taken anywhere while mobile, a lunch cooler is a type of food container that's insulated to keep the food cool, drinks cold, and everything as fresh as possible. Lunch coolers aren't only used by schoolchildren. Construction workers also make use of lunch coolers in order to protect their lunch from getting spoiled or ruined, allowing them to enjoy a fresh lunch during their lunch break. These lunch coolers should last you for years by being durable and sturdy. Here are some of the hardiest, most durable, and most dependable lunch coolers that can take the kind of lifestyle and environment construction workers are regularly exposed to. 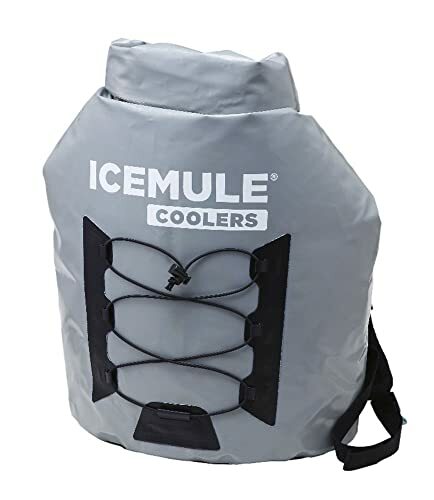 The IceMule Coolers brand offers some of the best lunch coolers around that come complete with a patented dry-bag design, a capacity of 20 liters, and a padded backpack strap system that allows you to carry it around on your back with comfort. It's so good at its job that it can keep ice intact for more than 24 hours or a whole day. It also doesn't leak because of its insulation capabilities. If it's leaky it's not as efficient in cooling and insulating as advertised. This cooler is still high-capacity and extremely mobile or portable. It won't only survive several trips to a construction site. You can also use it for summer hikes, picnics, or trips to the beach. 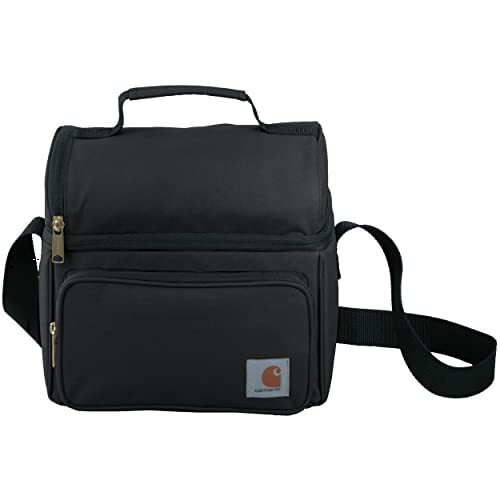 The Carhartt Deluxe Dual Compartment Insulated Lunch Cooler Bag is a literal bag made of 100% polyester. As a bag that serves as a lunch cooler, it features top quality insulation and dual compartments. It even comes complete with waterproof features and a main compartment that keeps our drinks and food cool. It's large enough to house a six pack of beer. This lunch cooler also allows for more storage, with pockets for silverware and disposables. The lightweight bag also has an ID tag and high quality sewing work for good measure. 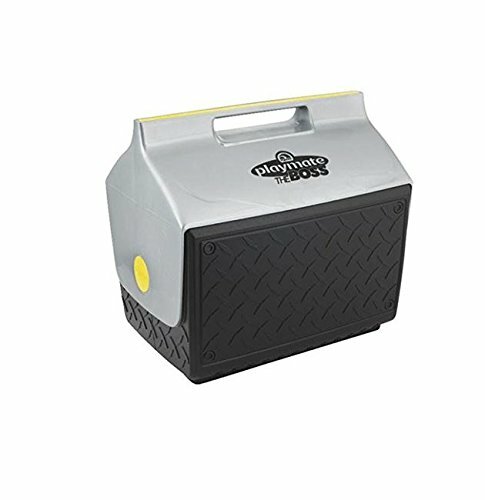 The main claim to fame that this highly rated box cooler has is the fact that it's more heavy-duty than the rest of the lunch coolers on this list, giving it a 18-can, 300-pound, or 17-quart capacity. Its stainless steel hinged lid also ensures no rust and has a recessed top to allow for accommodation of 1-liter bottles. Because it's not a cloth bag but looks like a container for a nuclear facility, it's able to keep your food and drinks cool for up to 30 hours or more than a whole day, allowing you to enjoy a fresh one, whether it's a soda pop or a cool drink of water, every time on short notice. The lid even opens to 180˚, allowing you to access a compartment for your keyes, medicine, napkins, utensils, and so forth. 1.It takes a special cooler to outdo the behemoth that is Klein Tools 55600, but the Igloo 14.8 Quart Playmate Cooler rises to the challenge of its impressive rival by delivering the same benefits with extra toughness. It's perfect for construction workers and families alike. 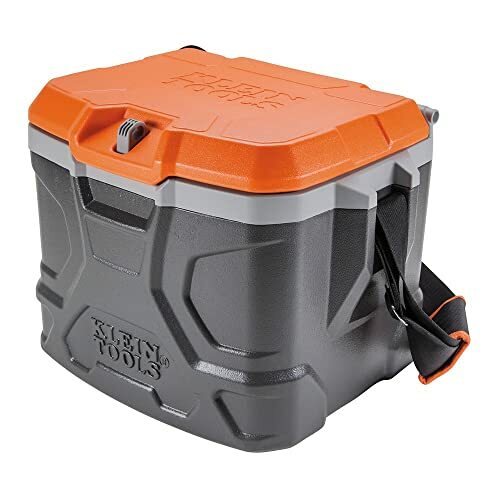 It prevents spills with its tent-shaped locking lid while its diamond-plate exterior made of impact-resistant plastic should be able to withstand the test of time, rough handling, accidental drops, and the gravelly environment of construction work. The lid also swings open on either side for easier access. Finally, the grip-molded handle allows for ergonomic handling every time. Although a number of construction workers simply go to a drive-thru in order to get lunch to go, it's usually better to pack a lunch through lunch coolers. It's healthier, they're not eating junk food, and they're getting something nicely home-cooked. With that said, here are the things they should look for when shopping for the right lunch cooler for their needs. Preservation: The appeal of eating at an expensive restaurant or a cheap fast food place is that you're getting your food relatively fresh by having it cooked as soon as you order it or getting something with a chockfull of preservatives. A good lunch cooler should therefore be excellently assembled and designed to preserve the freshness of your food, whether it's a sandwich or a soup as well as dessert like pie or fruit. Some are practically vacuum sealed while others have excellent insulation. 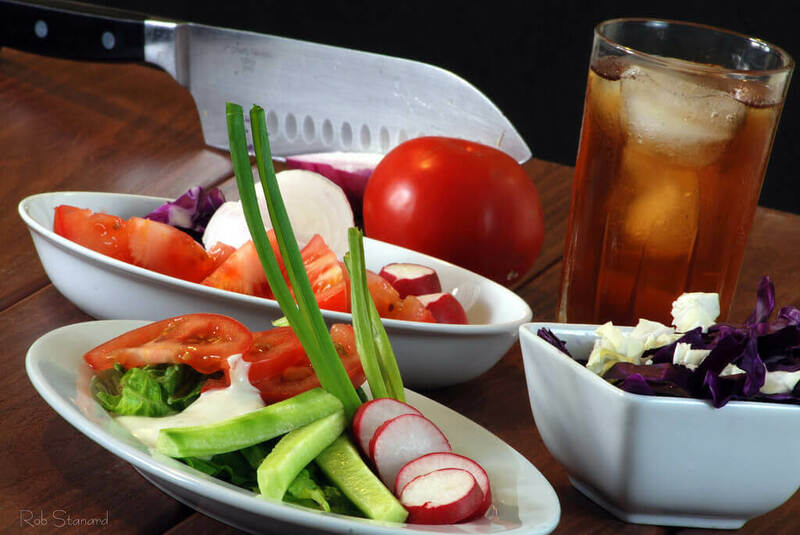 Insulation and Temperatures: Speaking of insulation, your lunch cooler should cool down your already prepared meal just short of being a refrigerator in order to eliminate the chances of spoiling your meal. It should seal in the freshness like a zip lock bag.Some lunch coolers are also effective in keeping food warm or at least at a consistent temperature as though it's freshly cooked without being so warm that it speeds up the spoilage or rotting process. Anti-Bacterial Features: Lunch coolers are anti-bacterial by default in the way it keeps your food from reaching the danger zone in food temperatures, thus speeding up the rotting process before you can take a bite or sip out of it.With that said, some lunchboxes of this type go the extra mile and keep bacteria from growing quickly by keeping your food cool enough without making it too cool as in the case of leaving then forgetting your sandwich inside the company refrigerator. Strong and Durable: Because construction workers have to deal with the rigors of a construction site, they need a food container that can take the same stress that they go through. Paper bags usually leave sandwiches squashed and dishes on the verge of expiration.The lunch cooler can be made of thick plastic that doesn't break easily or high-grade steel that can take a few licks. It should have its lid shut as well to prevent cement or dirt from contaminating your lunch until lunchtime happens. Lunchboxes have come a long way since being small cases with clasps and handles and a printed image of a popular cartoon on its front. From the 1950s to the 1980s, lunchboxes were made of lithographed metal. This gave way to the injection-molded plastic of the 1990s to the present and lunch boxes having variants like the more insulated and cloth-based lunch coolers. In terms of the best lunch cooler for construction workers, the clear winner is Igloo Playmate Cooler. It's tough with its impact-resistant plastic, it can withstand the harshness of the construction world's environment with its diamond-plate exterior and rugged texture, and it's tent-shaped, allowing for spill prevention.